Service Notification: Under the new Registrar Accreditation Agreement all domain holders must have a valid email address and postal address for all domain names. Paying too much for Web Design? Wish you could do it yourself for free? 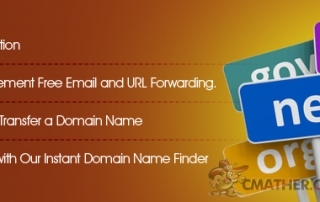 Free DIY Web Design with CMather Site Builder and cPanel cloud Web Hosting. We recently launched our new service for free web design using our control panel tools within the cPanel web hosting infrastructure. Follow these 6 simple steps to make sure your blog received the traffic it deserves. Having a web hosting and domain name that compliments the blog will not only help with traffic, but increase your subscribers and readers to your site.